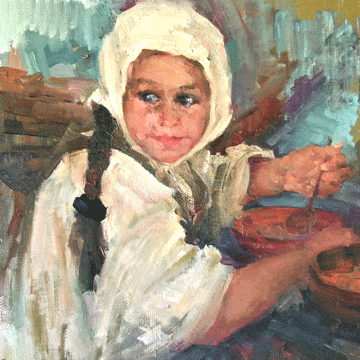 Reception For the Artist: December 6, 4-7 p.m. 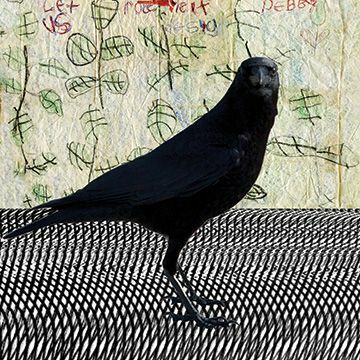 The Marin Museum of Contemporary Art at Hamilton Field in Novato will present DEBORAH SULLIVAN: IRREGULARITIES OF ATTENTION, featuring the work of Bay Area artist, Deborah Sullivan. Sullivan employs a rich symbolic vocabulary that explores concepts such as home, temporality, technology, nature, and spirituality. The broad universality and appeal of such concepts is filtered through Sullivan's unique artistic voice in mixed-media artworks characterized by a gritty texture from which faint images emerge, inviting viewers to experience each piece patiently and carefully. This dynamic exhibition will include 2-dimensional and 3-dimensional artworks, some containing photographic images that, as Sullivan puts it, serve to “bridge past and present.” There is in Sullivan's work a vulnerable, yet brave exploration of self, but her deft juggling of personal journey with universal themes results in a body of work that tells a relatable, almost stream-of-consciousness story about struggle and triumph, fear and comfort, loss and love. Deborah Sullivan is a San Francisco Bay Area photographer and mixed media artist. She was born on the East Coast, and has a B.A. in Fine Arts from Rutgers University. 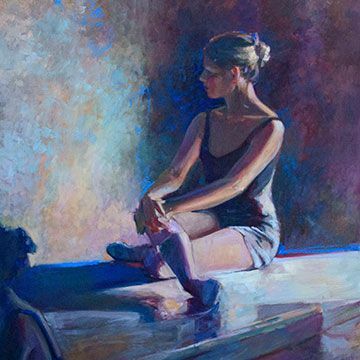 She has recently participated in Bay Area solo and group shows at the O'Hanlon Center for the Arts, Falkirk Cultural Center, and MarinMOCA, where she was awarded Second place. She also participated in a national exhibition at the Encaustic Art Institute in Santa Fe, NM, where her work has been included in the permanent collection. Beryl Miller and Enrique Goldenberg are polar opposites in their approach to creating art. This exhibit titled “Yin and Yang” explores and celebrates their differences in approach to art processes and visual solutions. Beryl Miller's paintings are informed by emotions using colors, lines and shapes intuitively transformed into abstract paintings. Her creation emerges quietly during this manipulation of visual elements resulting in a synergy of soulfulness and dynamism. 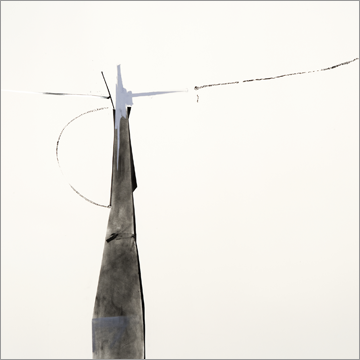 Enrique Goldenberg is an artist with a rigor for creating things with meticulous methodologies. He explores his visual language base on his experiences as an Engineer creating art that is precise yet infused with playfulness and wit. His repertoire of paintings and sculptures explores a variety of concepts and media that delivers surprise and delight. Dialogic Presentation: November 8, 4-5 p.m. Reception for the Artist: November 8, 5-7 p.m.
Bay Area Artist Legend Squeak Carnwath turns the mundane into thought-provoking art. 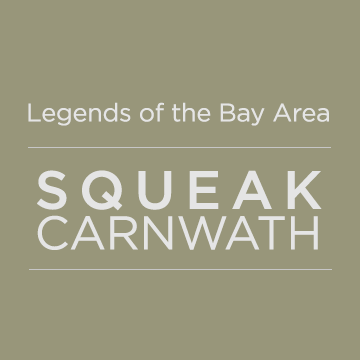 Marin Museum of Contemporary Art is proud to exhibit works from Squeak Carnwath, one of the leading California artists of the last thirty years. This exhibition runs from November 1 - 29th. Squeak has received many prestigious awards and has been turning the mundane into thought-provoking art since 1972. You are invited to hear this renowned artist present a free and informal dialogue to discuss her work collaboratively on November 8 from 4-5:30pm. Squeak’s collage esthetic is inspired by everyday activities and thoughts and are layered and removed and overlayed. The text, patterns, and identifiable images in her paintings carry such meaning and is meant to slow the viewer and bring thoughtfulness. Her paintings are both a thing and an action, physical and also mental. Squeak Carnwath is very bold and transparent as her inner-thoughts are depicted on canvas. Living in the present is a powerful discipline and Squeak refuses to let the everyday moments pass by without notice. Born in Pennsylvania, she moved to the Bay Area in 1969 and enrolled at California College of Arts and Crafts (CCAC), Oakland (now California College of the Arts). While there she studied with Viola Frey, Vernon Coykendall, Arthur Okamura, Charles Gill, and Ron Dahl. She received her MFA and began teaching and exhibiting around the Bay Area. Numerous awards have been granted to her including the Society for the Encouragement of Contemporary Art (SECA) Award from San Francisco Museum of Modern Art, two Individual Artist Fellowships from the National Endowment for the Arts, a Guggenheim Fellowship and the Award for Individual Artists from the Flintridge Foundation. Currently Carnwath is Professor Emerita at the University of California, Berkeley and she lives and works in Oakland, CA. Reception: October 25, 5-8 p.m. The talented artists of MarinMOCA will be creating a fabulous 100-foot mural inspired by the theme “gone wild”. Guests are invited to come select their favorite section to cut out and take home. The mural will be sold for $1.00 per square inch and guests can choose any section or size they like. 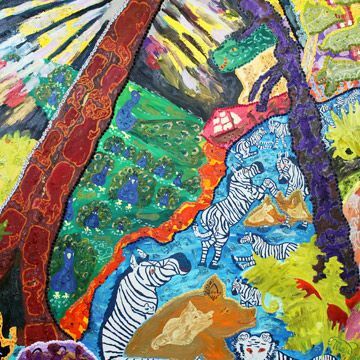 This year, artists have drawn inspiration from rescued animals at the San Rafael-based wildlife rehabilitation center, WildCare, which will be represented in the mural. A silent auction will also be available for browsing. 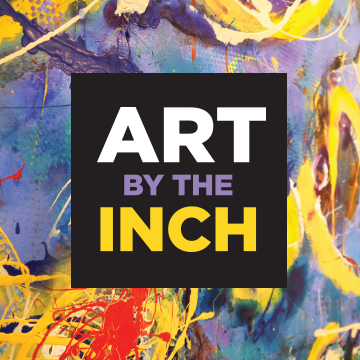 Art by the Inch is an unusual and fun way to experience local art while fine-tuning your artistic eye to purchase that perfect piece. This evening supports the Marin Museum of Contemporary Art’s ongoing exhibitions and community events. MarinMOCA is a unique museum that merges the talent and leadership of artists with the qualities of a museum. Among MarinMOCA muralists are Joan Nelson, Julia Ross, Linda Mueller, Will Gothers, Susan Schmidt, Colleen Johnson, Sarah Gorman-Brown, Kathleen Lack, Mary Beth Taggert, Harriet Burge, Beryl Miller, Nancy Nelson, Suzanne Merviss, Joel Yau and Donna Wallace-Cohen. The ONLINE silent auction will run from Oct 14th - Oct 23th, closing on October 23th at 9pm. Get a sneak peak of all the items and start your bidding early. But it doesn’t end there...FINAL BIDS are made the night of the fundraising events on Oct 25th starting at 5pm in Gallery 2 at MarinMOCA. Keeping with the theme, Art by Inch Goes WILD, guests are encouraged to dress wildly elegant for this one-of-a-kind event. That could be anything from a wildly wicked costume to a wickedly marvelous headpiece to just wearing animal print for the evening. The best attire to wear is a fun attitude of joy and giving. Video & Talk, October 11, 4-5:30 p.m.
Marin Museum of Contemporary Art presents a special limited-time exhibition by Maija Peeples-Bright. This exhibition runs from October 11-25th, coordinating with the Art by the Inch Fundraiser. Maija is an internationally known artist who has been showing since 1965. Her work transports you to a world full of colorful and charming animals called “beasties”. You are invited to the artist talk and film screening on October 11 from 4-5:30pm of The Spirit of Woofdom: The Life and Art of Maija Peeples-Bright. The animals, which populate her work throughout the sky, mountain, meadow, garden or edifice, are a familiar yet ever evolving element she uses to create a total piece of art. Her passion for learning and soaking up everything around her, Maija says, “lets me bring pathos or pun, light or darkness, new or familiar into a total work that changes with shadow and sun or the mood of the viewer and lifts the mind in to my beloved "EWEniverse". Maija is a truly inspirational artist. She was born in Latvia in 1942 and saw the horrors of war as she and her parents had to flee to a refugee camp in Germany. It wasn’t until she was eight years old that a relief agency found a sponsor for the family and they were brought to California to work on a farm until the debt was paid. As a child, Maija wanted to learn, explore,experiment, listen, look and enjoy the world around her. In her third year of college at UC Davis, she took an art class that launched her into her art career. She had stepped into the middle of the California Funk Movement. After getting her Masters, she was married and purchased a house in San Francisco. Maija cheerfully painted their home inside and out. It was known as the “The Rainbow House” and became the gathering place of such notables as Robert Arneson, William T. Wiley, Peter VandenBerge, David Gilhooly and Roy DeForest. Then in 1965 her first exhibit was at the Candy Gallery in Folsom, CA, and thus began her career. In addition to showing in local museums and galleries, her art is shown in permanent public and private collections around the world. The Marin Museum of Contemporary Art is located at the Novato Arts Center at Hamilton Field, 500 Palm Drive, Novato, California. Hours are Wednesday through Friday 11 a.m. to 4 p.m. and Saturday through Sunday, 11 a.m. to 5 p.m. Opening Reception August 30, 5-7 p.m.
Marin Museum of Contemporary Art presents a sampling of contemporary art on a national scale with its upcoming Fall National Exhibition. The show includes established and emerging artists working in steel, plastic, acrylic and fabric. 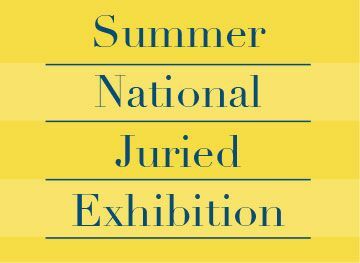 Artists from all over the country applied to be included in the exhibition, and the artworks selected by the juror will be on exhibit from August 30 to October 5. The juror for this year’s exhibition is Betti-Sue Hertz. She has been the Director of Visual Arts at the Yerba Buena Center for the Arts for five years. Previously she served as the curator of the contemporary art at the San Diego Museum of Art (SDMA) from 2000-2008 and was the director of Longwood Arts Project, Bronx, New York from 1992-1998. She co-organized (with Lydia Yee) Urban Mythologies: The Bronx Represented Since the 1960s (1999) for the Bronx Museum of the Arts. Alex Moses’ “Ark” does not employ color, but instead relies on a monochromatic palette to echo and critique what society values and teaches in his sculpture featuring a modern-day ark populated by cultural icons such as Big Bird and the Hamburglar. Xiao Fu speaks of the impact an environment has on its residents’ emotions in this piece, “Hiding”, made of steel wire. She states, “My goal in creating art is to allow a viewer the opportunity to observe contemporary social constructs from a distance, providing them with a new perspective.” Her life size wire sculpture suggest a human form consumed by swirling inner emotions. These pieces are among the 50 artworks included in this stimulating show, which opens with a reception to be held on August 30 from 5 to 7pm. Admission is free. Running concurrent with the Fall National Exhibit is MarinMOCA’s First Annual Juried Member Exhibit titled “Rising Tides - Shifting Boundaries,” juried by artist and environmentalist Mary Eubank. MarinMOCA’s First Annual Juried Member Exhibit titled “Rising Tides - Shifting Boundaries” is set to open August 30th. The theme of the show invites an artistic response to global warming and climate changes, and issues regarding physical and/or economic survival and adaptability, populations of life forms, food /water sources, and emotions relating to these concerns. A committed environmentalist herself, artist Mary Eubank is the juror for this show. She has been the Director of the Project Space Program at Gallery Route One since 1983. The exhibit will be open from August 30 to October 5th, with an opening reception on August 30 from 5 to 7pm. The emotional and thought-provoking nature of the theme has brought out some truly great artwork from the artist members at MarinMOCA. 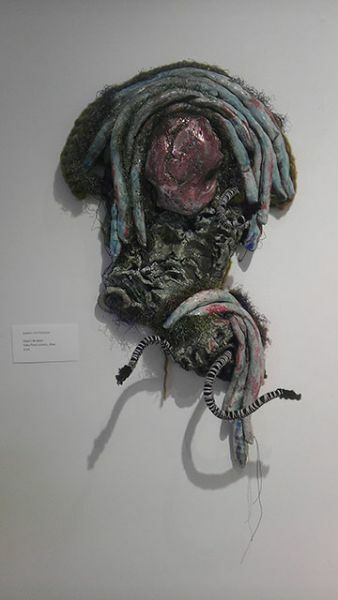 Janet Bogardus describes her piece, “High Tide”, as a study of “flow, change, and instability, counterpointed by the human desire to contain and control our environment.” Her mixed media piece has a layered, textured presence due to the use of materials such as a bee and remnants of a wasps nest. 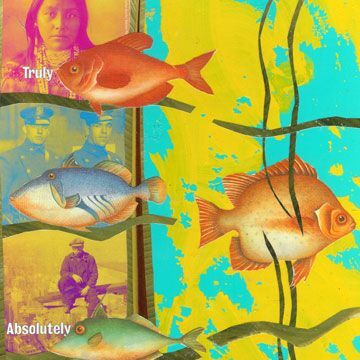 Elaine Larson’s collage piece “Waterworld” asks “how fish can survive in a world where there is an unacknowledged conflict between currently conceived roles of worker, provider, story-teller, businessman and the sustainability of plentiful, beautiful, life-giving waters?” says Larsen. This piece was created using innovative collage techniques that avoid liquid adhesives. The public is invited to attend the exhibition and its opening reception. 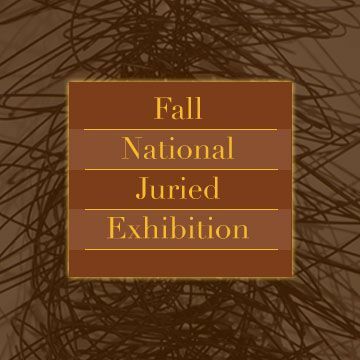 This exhibition runs concurrent with the Fall National Exhibit and is located in the Ron Collins Gallery. The Marin Museum of Contemporary Art is located at the Novato Arts Center at Hamilton Field, 500 Palm Drive, Novato, California. Hours are Wednesday through Friday 11 a.m. to 4 p.m. and Saturday through Sunday, 11 a.m. to 5 p.m. Admission is free. Visit MarinMOCA’s website: http://www.marinmoca.org or call 415-506-0137 for more information. 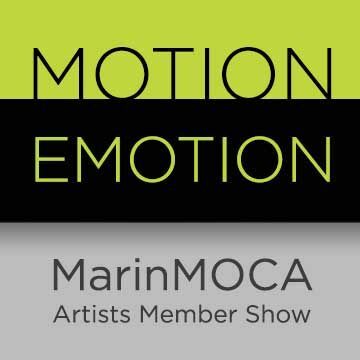 MarinMOCA, located in Novato, California, is an organization comprised of over 150 artist members, and the unique talents of those members will be showcased in the upcoming exhibition entitled Motion/Emotion. The theme Motion/Emotion explores the interplay between motion and emotion, as represented in internal or external landscapes. The artists dove into what moves them and then projected that onto canvas, paper, or sculptural forms. Join us at the opening reception on Saturday, July 19th from 5 to 7pm to see this stunning exhibition. 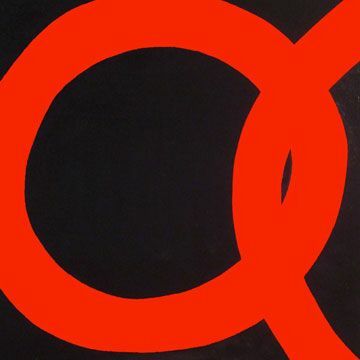 MarinMOCA artist members work in a variety of media, from acrylic and oil paint on canvas, to watercolor on paper, to encaustic (wax), to photography, to sculpture of all types. Artwork in the show includes Elise Cheval’s monotype print, “Blue in Blue” which combines water-soluble media and inks. An abstracted piece by Margo Reis shows bicyclists in motion in her painting titled “Canyon Ride”. Reis says that “the exciting unpredictability of what can happen when pigment and papers meet on the canvas continues to hold my attention and to delight me.” The same energy and improvisation is also found in the swirling acrylic composition called “The Universe” by Meg Reilly. With something for every viewer, Motion/Emotion is an excellent opportunity to explore some of the latest works of art by local artists. The juror for this show is Chester Arnold, Bay Area Narrative Painter and Faculty at College of Marin. The Motion/Emotion: MarinMOCA Member Show will run from July 19-August 24, with an opening reception on July 19th from 5-7pm. Also on display is the Olompali Outreach Exhibition in the Ron Collins Gallery. The Olompali People (TOP) is a non-profit volunteer support organization for Olompali State Historic Park. TOP is dedicated to preserving and restoring the cultural and natural history of the park, as well as enhancing educational and interpretive programs. You are invited to see their historical exhibit and meet some of the artists at their reception on Saturday, July 26th at 3pm. Marin Museum of Contemporary Art presents a National Show displaying all forms of media that represent new directions and fresh voices this summer. This show includes 45 artworks from around the nation and will be on exhibit from May 31 to July 13. The opening reception will be held on June 7 from 5 to 7pm. The juror for this year’s exhibition is Catharine Clark. Ms. Clark has been the Director/Owner of the Catharine Clark Gallery since 1991 which has garnered critical attention from several notable publications. She has been a member of the San Francisco Art Dealer’s Association since 1994, and the Yerba Buena Alliance since 1997. She also serves on the board of ZER01: The Art and Technology Network and is an advisory board member to: SF Recycling & Disposal, Inc.’s artist-in-residency program, and San Francisco Arts Education Project. This year’s exhibition includes artists using a wide variety of mediums from glass to 3D printers to Swarovski crystals. Gail Postal from New York uses graphite, colored pencils and Swarovski crystals to create her mixed media portrait entitled "Erin". "I am attempting to re-create the feeling of old Japanese hand-tinted photographs." says Postal, whose figure includes a figure whose face is rendered in graphite but is robed in bright vibrant hues. Caryn Blum describes her whimsical sound machine drawing "Cha-Ching-A-Ling" as "producing rhythm and movement as your eye navigates through the drawing. It can be a slow aesthetic dance through visually packed, micro-imaginary worlds that give a beat to the accumulation of objects, and a pleasurable escape. " Mira Woodworth submitted a poignant glass piece entitled "Return to Sender". Using a lost wax glass casting process, she creates a haunting glass foot atop a Korean-era crate used to ship rifles to the USA. She is an award-winning glass artist whose work has been featured in juried shows and invitationals. Her innovative designs have been published in Art Jewelry Magazine as well as in a comprehensive survey, "Sculpture and Design with Recycled Glass." There are also several artists from Florida in the exhibit. McArthur Freeman’s piece, "Column" integrates technology into the traditional. "Synthesized from bits and pieces of multiple sources, these hybrid forms are as much about the loss of identity as they are about constructing new ones. Disembodied, reinvented, appropriated, and decontextualized, the resulting forms are sometimes beautiful, grotesque, humorous, or sensual." says Freeman. In Bianca Pratorius’ "Aither" she says, "The soft forms I create from felt revolve around the process of hand cutting the felt into very organized ladder type pattern which seems to dissolve into organized chaos upon installation. The forms are never preconceived, but are created spontaneously upon installation by letting the inherent sensuality of the material express itself." Artist Rich Smukler has a life-long passion for art and photography as demonstrated in "Pinball Soldier". He states that "While his cutting edge passion for graphic design has earned him accolades and awards for innovative style, his genre as a fine art photographer encompasses photo-realism to abstract graphic design." This contemporary collection of pieces also includes installation work, ceramics, and much more. The Marin Museum of Contemporary Art is located at the Novato Arts Center at Hamilton Field, 500 Palm Drive, Novato, California. Hours are Wednesday through Friday 11 a.m. to 4 p.m. and Saturday through Sunday, 11 a.m. to 5 p.m. Admission is free. Call 415-506-0137 for more information. 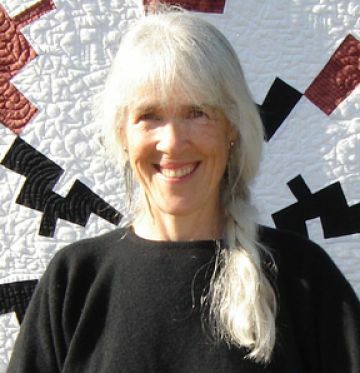 True to the style she has become famous for, Novato quilting artist Laura Lee Fritz once again fills her canvas (or quilts in this case) with tales from life about us. This new body of work, never seen before, brings a new twist. Laura dyed her own fabrics in ways which break apart the "ingredients", then spent time reading the resulting designs to learn what stories they seemed to be telling. These are the tales and images illustrated by her signature continuous-line quilting lines. Among her other accomplishments, Laura is author of five books published by C&T Publications, a leading quilting book publisher, and she has a workshop on Railroad Avenue in Novato. For this exhibition, the majority of works on display by Randy Pottenger are a combination of ceramic and textile elements based on marine coral and plant life. The involved process of ceramic sculpture requires many steps of problem solving and often it is that journey to the finishes product that Randy enjoys the most. Getting her hands involved with the medium creates joy that is reflected in her artwork. "In clay, I also find the potential for playfulness, the surprise, the juxtaposition of ideas that can take on a life of their own as real objects." says Randy. However when the structure and time issues of clay become overwhelming, she turns to the color and immediacy of paint often as a siren song. She finds the ability of the medium to convey the power and nuances of emotion very intriguing. Among her other accomplishments, Randy helped found Indian Valley Artists of Novato which later became the Art League of Northern California and has been a community art advocate for Novato since 1991. She has taught ceramic classes through the MarinMOCA educational program as well as privately. 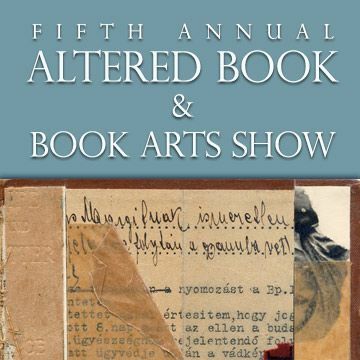 The Altered Book Show opens with a reception at the Marin Museum of Contemporary Art on April 19 from 5 to 7 pm. Juror Donna Seager will give a talk about her lifelong love of the book at 4pm preceding the reception. The show closes on May 24 with a Live Auction Closing Party, 5-7:30 pm. A concurrent exhibition in the Ron Collins Gallery will feature selected works from the San Francisco Center for the Book (SFCB), a non-profit organization dedicated to fostering the joy of books and bookmaking as well as the artistry, history, and continuing presence of books in our culture as an important medium of self-expression. SFCB offers workshops, public programs, exhibitions and an artist in residency. More information about SFCB can be found at their website, sfcb.org. Panel Discussion with Juror Kenneth Baker March 29, 2-3 p.m. Opening Reception March 8, 5-7 p.m. The Marin Museum of Contemporary Art in Novato, California, will present Emerging Artists of the Bay Area, an exhibition featuring the work of emerging artists Justine Frischmann, Al Grumet, Carl Heyward, Phillip Hua and Jennifer Kaufman. The selected works includes two site specific installations created for the exhibition: a 20 foot mural by Phillip Hua, and a wall drawing by Jennifer Kaufman which spans two rooms. Phillip Hua’s mural uses images of nature that are digitally composed, printed, and then painted onto separate sheets of financial newspapers. The newspapers will yellow and degrade, hinting at the fragility of our natural and economic climates. Jennifer Kaufman’s installation will be created with tape which she will use directly on the walls and ceiling of the museum. For this installation she will create a drawing that responds to the history, architecture and location of the museum’s 1934 building that once served as the administrative headquarters of Hamilton Air Force Base. Kaufman’s work is temporary, and will only exist for the duration of the exhibition. Al Grumet’s work is inspired by the objects and imagery he collects while wandering. The work consists of the 2D components and related 3D installation elements that combine to form narratives about the human condition. He incorporates objects manipulated physically and digitally. Carl Heyward also brings together disparate images in his collages. His work fractures images and reinvents them as new realities. He draws on a wide variety of images, from bud light packaging and receipts to world leaders and newspapers. The resulting compositions are engaging commentaries on history, culture, and mortality. Justine Frischmann's works strike a quieter, but no less powerful note. Her work oscillates between chaos and composition, mixing traditional high value methods like layered oils with throw-away contemporary materials such as fluorescent spray paint. In neon fluoro sprays on panel wiped out by pale scumbles in oil, Frischmann performs a kind of reverse vandalism, revealing a preoccupation with light obscured and revealed, and an interplay between struggle and stillness, cancellation and reconstruction. The work will be presented in both galleries of the Marin Museum of Contemporary Art March 8- April 13, with an opening reception on March 8th from 5-7 p.m. There will also be a panel discussion with the juror, Kenneth Baker, and the five participating artists on March 29th from 2-3 p.m. The Marin Museum of Contemporary Art is located at the Novato Arts Center at Hamilton Field 500 Palm Drive, Novato, California. Hours are Wednesday through Friday, 11 a.m. to 4 p.m. and Saturday and Sunday, 11 a.m. to 5 p.m. Admission is free. 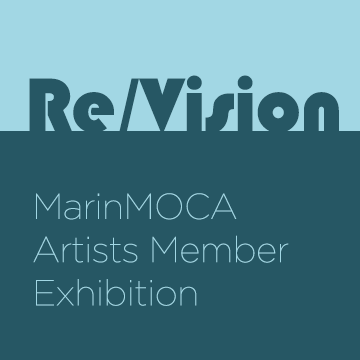 Visit our website: http://www.marinmoca.org or call 415-506-0137 for more information. Opening Reception January 18, 5-7 p.m.